Hello, Australia! 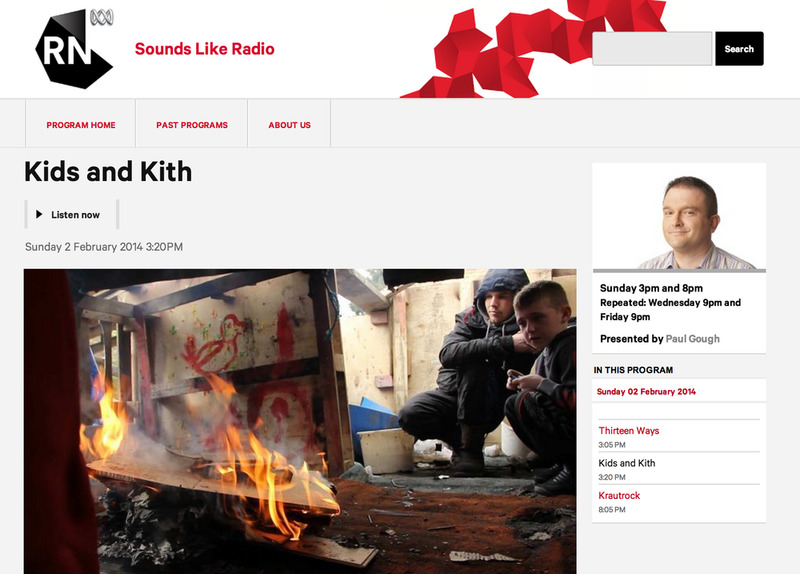 ABC Radio National, Australia aired our radio story about The Land on Sounds Like Radio, an eclectic remix of audio documentaries and soundscapes from around the world. Also featured is a delightful audio doc, Thirteen Ways by Pejk Malinovski that beautifully illustrates children's imaginations through (sonic) poetry. Listen to both! Thank you, ABC Radio National!